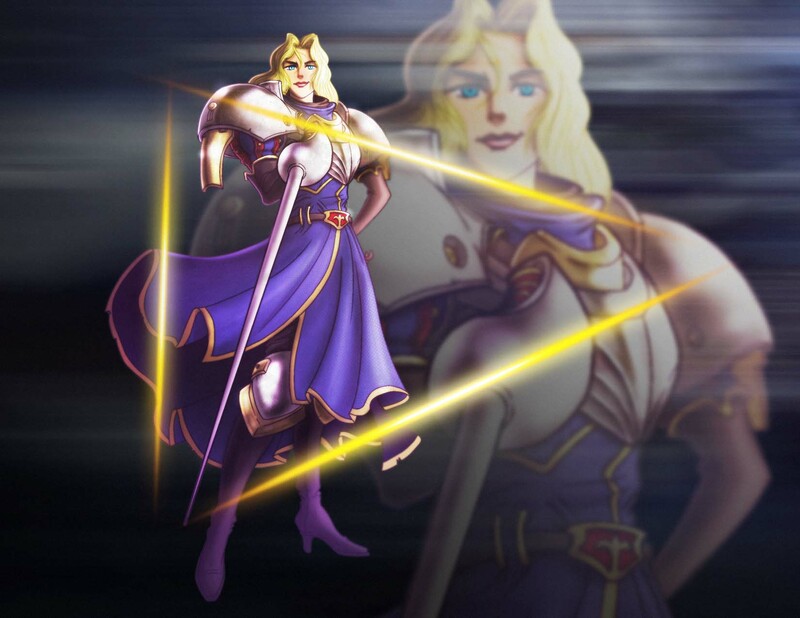 Charlotte Christine de Colde, often just called Charlotte is a fictional character of the Samurai Shodown fighting game series by SNK. 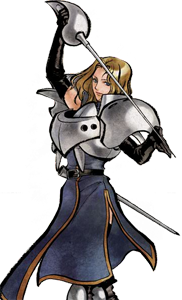 She debuted as part of the first game in 1993 and returned in almost all sequels including the latest game Samurai Shodown Sen / Edge of Destiny from 2008. Charlotte is born in Paris,France and represents the fencing fighters with her épée sword. 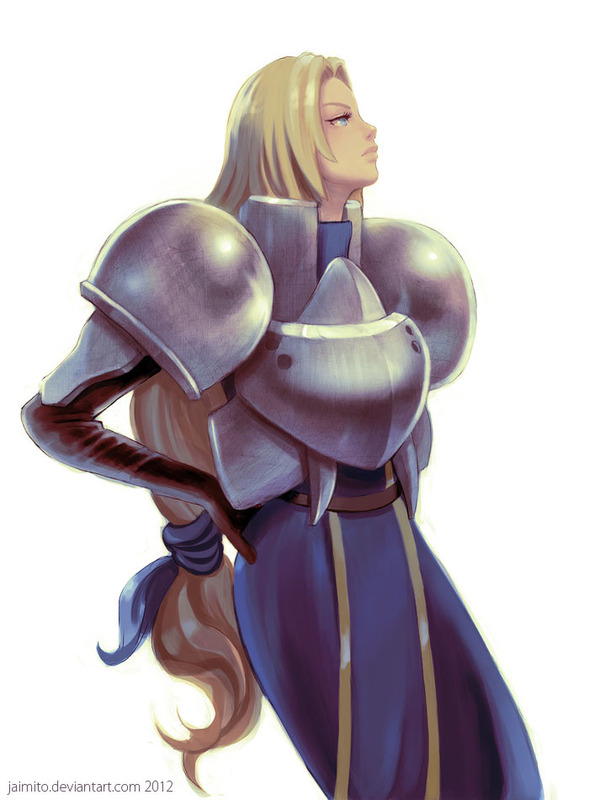 According to her official backstory in Samurai Shodown, Charlotte is a minor noble and likes the company of common people. Amakusa, the boss of the first SS is plaguing the whole world which causes her to travel to Japan and fight him. Later she returns to take a part in the French Revolution. In Samurai Shodown Sen, Charlotte is a target of one of the assassins of Golba, which leads her to hunt him down on her own. 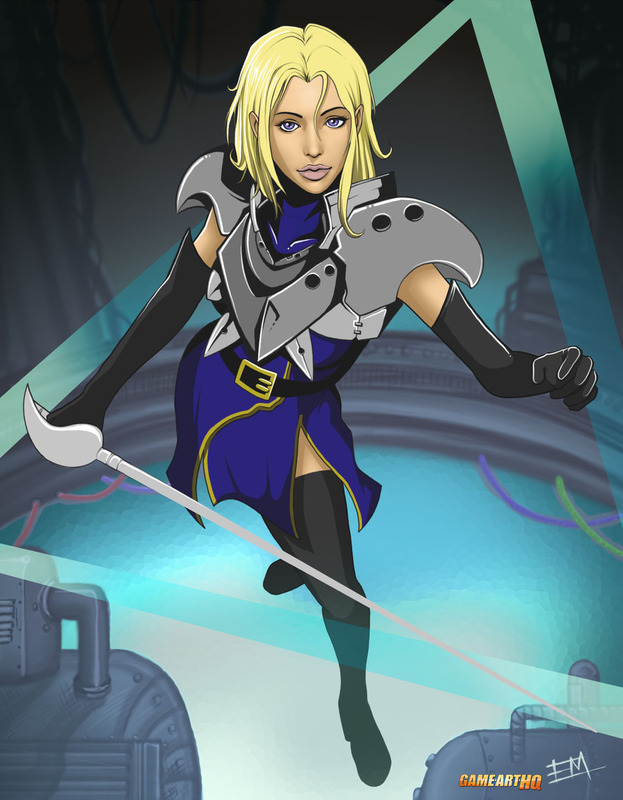 Unlike many female fighting game characters, Charlotte fights from the distance, using her fencing skills to avoid body contact as much as possible. 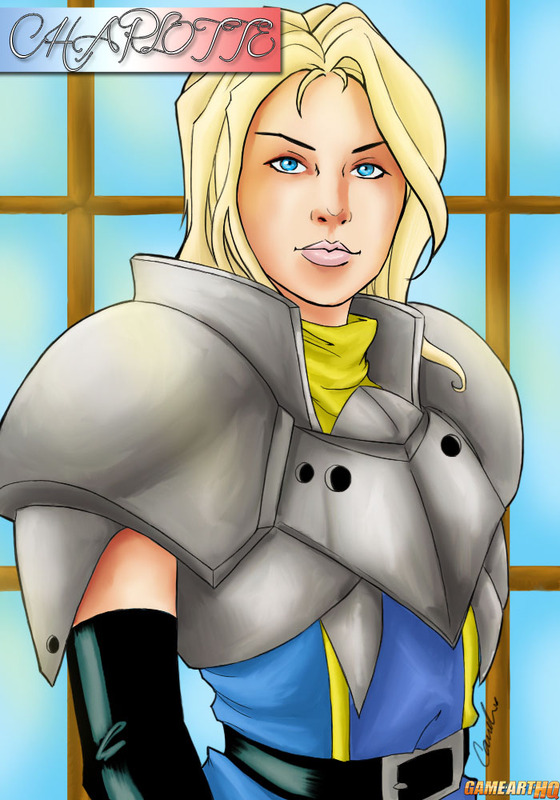 So far we had no Samurai Shodown related Art Collaboration here, but Charlotte was drawn for our FGE Project and also the Samurai Shodown Art Contest we organized in January-February 2012!